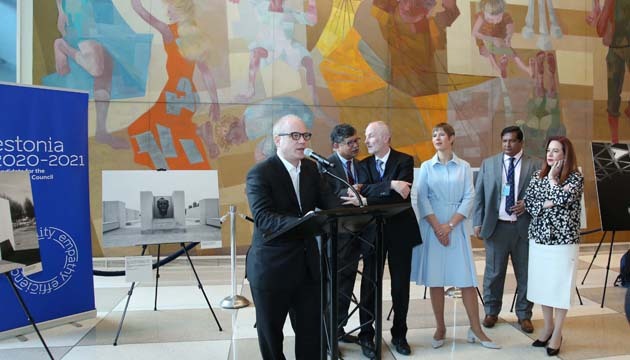 Today, the Permanent Mission of Bangladesh and the Permanent Mission of Estonia to the UN jointly organized a Photo Exhibition at the UN Headquarters titled ‘From Island to Island-The creative journey of Louis Kahn’ where a model of the National Parliament Building of Bangladesh was displayed at the centre of the hall that attracted huge attention of the international community. 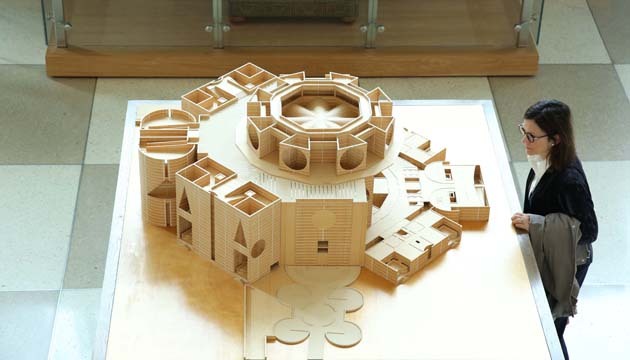 The exhibition, designed by Arne Maasik, an architect and photographer, showcased the great works of the Estonian-born American architect Louis Kahn. 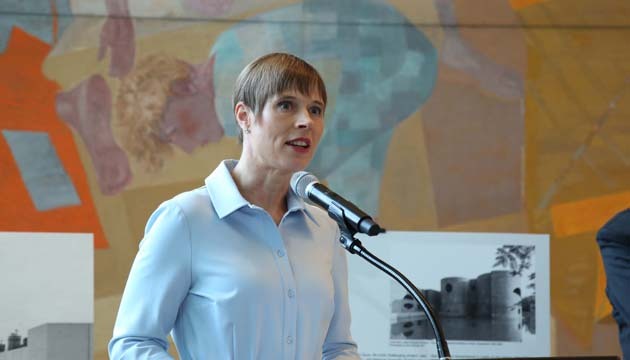 The event was graced by Ms Kersti Kaljulaid, President of Estonia; Mr Zahid Ahsan Russel MP, State Minister for Youth and Sports of Bangladesh; Ms Maria Fernanda Espinosa Garces, President of the General Assembly and Mr. Nathaniel Kahn, son of Louis Khan. In his remarks, the State Minister for Youth and Sports Zahid Ahsan Russel MP said, “We are today commemorating Louis Kahn, one of the greatest architects of the 20th Century, and the magnum opus of his architectural creations, the National Assembly Building of Bangladesh. 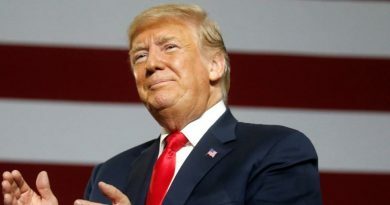 Is it not intriguing for an architect born in Estonia, naturalized in US yet having made a mark in such a far away land, Bangladesh? It is quite an eclectic effort, also a wonderful example of north-south camaraderie. 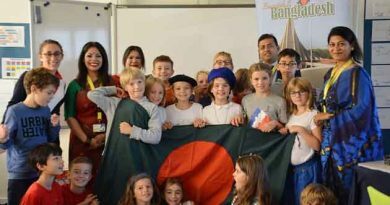 This has forged an unbreakable bond between Bangladesh and Estonia which we are also celebrating today”. Remembering the Father of the Nation, architect of independent Bangladesh Bangabandhu Sheikh Mujibur Rahman and the Liberation War, the State Minister said that the Parliament building is a tribute to the democracy of Bangladesh. To Bangladeshis, it is more than a parliament house; it is a symbol of stability, dignity and national pride. 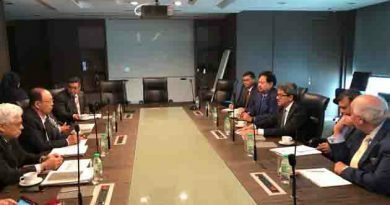 He also shared about his personal attachment with the Parliament building as one of the youngest Parliamentarians in Bangladesh to lead its first ever renovation works. 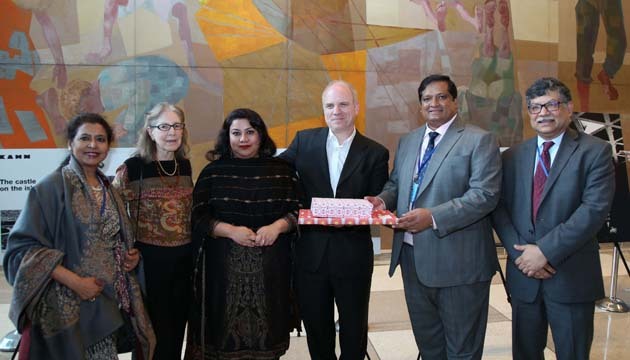 Mentioning the National Parliament Building of Bangladesh is one of the masterpieces of Kahn’s work, the President of Estonia said that the monuments built by Louis Kahn are epitomes of Justice, freedom and dignity for which the UN works. Nathaniel Kahn, the son of Louis Khan spoke about ‘human agreement’, the philosophy of his father’s architecture works that we need so much in our today’s world. 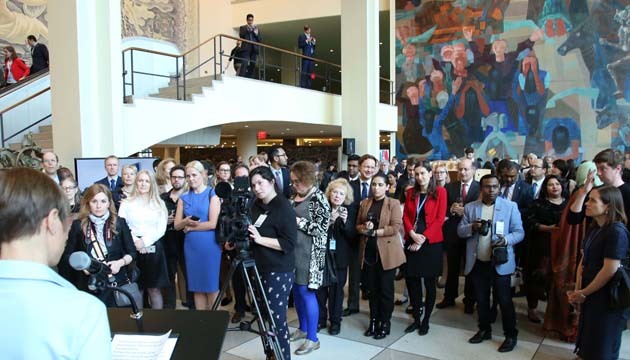 Permanent Representative of Bangladesh to the UN Ambassador Masud Bin Momen, Permanent Representative of Estonia Sven Jurgenson along with a large number of PR’s, diplomats and the UN officials attended the event. 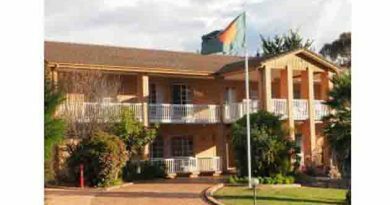 Bangladesh High Commission in Canberra is intensely engaged with the New Zealand authorities for the safety of members of Bangladesh.